is my go to snack. 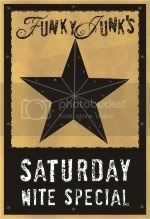 And besides that, I have a party to go to in the morning, and this is what I'm taking, so the timing was perfect. Can't you just taste this? Yum, yum, yum! Wanna make some of your own? Go ahead and preheat your oven to 350. 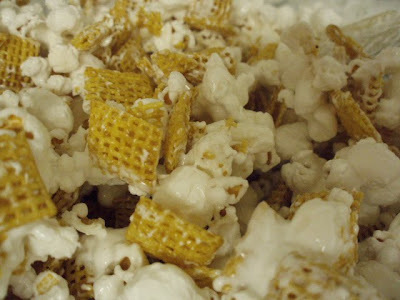 Mix your popcorn and chex cereal ONLY. 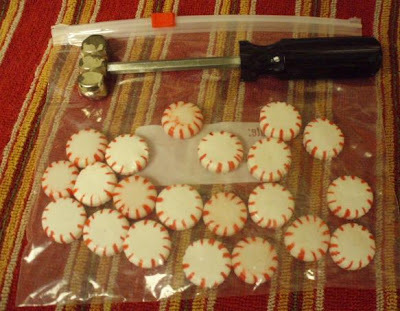 for breaking up the mints. Put a towel under your bag so you won't get little holes in the bag as you hit it. Be sure to break them up really good, but not so much that you end up with a lot of powder. When you take the creme out of the microwave, put it in the mixture right away. 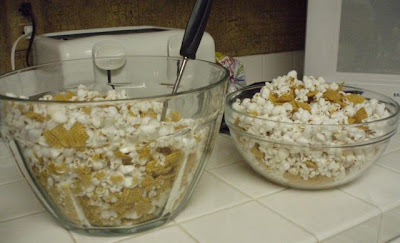 Take your spatula and toss it around until you have all of the popcorn/cereal mixture covered. Get your cookie sheets out and coat them with a non-stick spray. Spread the mixture so there is only one layer. 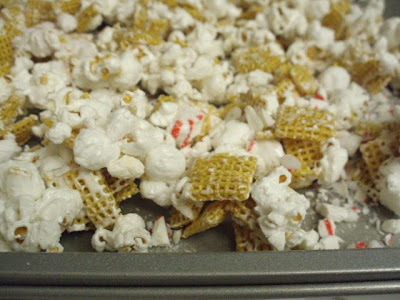 Once you have the mixture on the pan, grab your peppermint crunch and spread it over all of the mix. Remember, you'll have to do this for 4 pans, so be careful to ration it out. Now you can put the pans in the oven. I prefer to do them one at a time because the lower pan always seems to get too brown. Let them bake about 5 minutes. Be sure to keep your eye on them because they'll get brown before you know it. After 5 minutes, open the oven and move the mix around a little to keep it from burning on the bottom. Bake for about 3 to 4 more minutes. 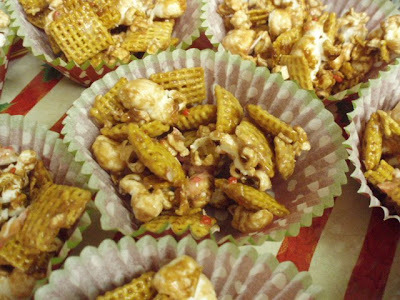 Take them out of the oven and put the mix on some wax paper or foil, and let them cool. 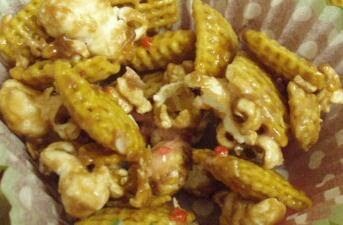 Once they're cool, you'll want to break the pieces into smaller parts. 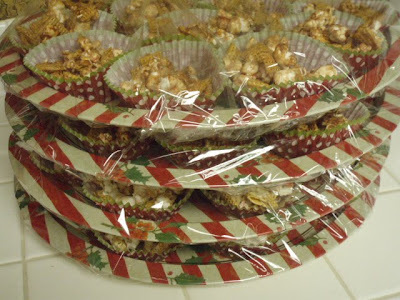 These are great to put in treat bags, OR, if you need it to feed a large number of people, scoop it out into cupcake sleeves since it won't take as much to fill those up. When you're all done, here's what you'll have. Remember I told you in the beginning that you can use some optional ingredients? 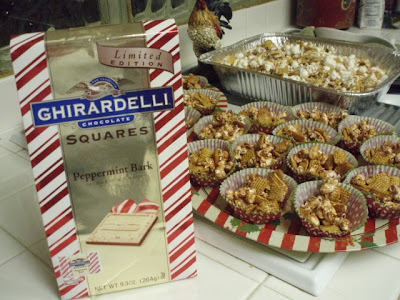 For the chocolate lover, instead of using only the marshmallow creme, you can take about 10 pieces of peppermint bark, a tiny amount of milk in the bottom of the bowl (do not cover the whole bottom), and one large mixing spoon of the marshmallow creme. Use that to toss the popcorn/cereal mix in. I just happened to have these on hand, so this is what I used. Notice the color difference of the ones in the pan, and the ones in the cupcake sleeves. If you make both, it's super easy to tell the differenc in the ones with chocolate and the ones without. Another option is to melt the chocolate morsels, put in an icing sleeve, and drizzle lightly over the mixture after you've separated it into the cupcake sleeves. Ok, time to go make your own. I have to pack mine up for my party in the morning. Be sure to head back over to The DIY Showoff and see what everyone else is cooking up today. 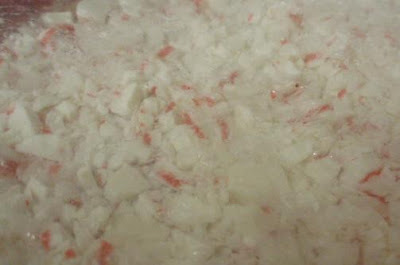 Oh this looks soo good.I love peppermint,in my blog Thursday I posted peppermint snowball cookies I thought looked so good. Thanks for sharing this,Merry christmas! This sounds really good. I love the sound of the chocolate variation. We're still praying you get to come South after all! God always has a plan. Merry Christmas to you and your family. Ohh, I love this, and it will be perfect to bring to a get together. Thank you for sharing this winner! O Holy Night / Such a Blessing! 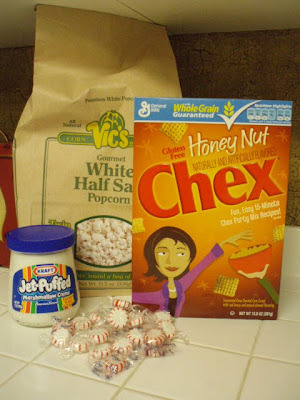 Another Great Treat for the Holidays! 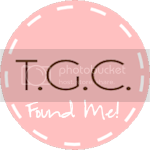 Come and See What I've Been Making!